What is an AOB? 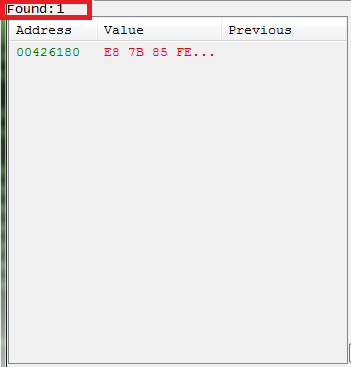 An AOB is just an Array of Bytes, it tends to be used as a signature. A signature is really only an AOB with wild cards. A signature can be found even if the address where it is changes, so long as the signature still exists. So if we look at the code for step 8 of the CE tutorial (x32), we see some code like this. So we could just inject at the address [ICODE]Tutorial-i386.exe+26188[/ICODE], but let's setup an AOB. And we could just try [ICODE]89 42 18 8B 45 DC 8B 40 18 8D 55 B0[/ICODE], but what if the registry changes or the offset. Note: Any none byte characters are wild cards, so X and ? are wild cards. So let's setup CE for an AOB scan. And after clicking first scan we are looking to get just one result. If you get more results then one just add more bytes to the signature. So to use this signature we'll need to use an offset. Let's look at a script using the signature. //// Here the offset is set, to be used for enabling and disabling. 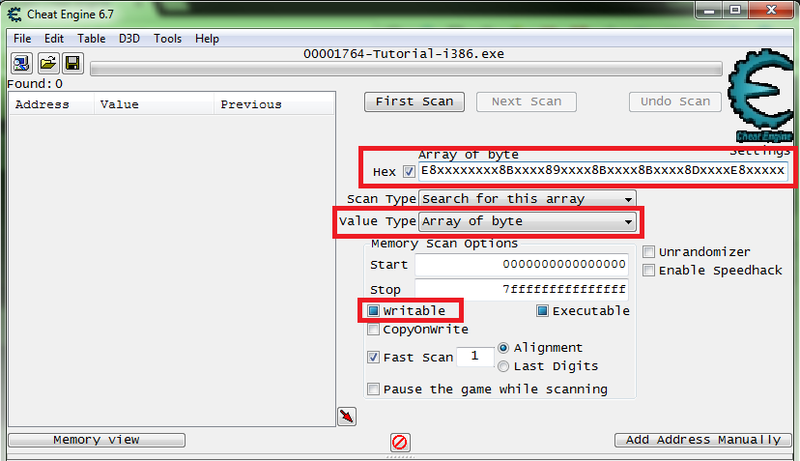 //// Here the bytes are asserted to be compatable with the process version. And that's really the basics of AOB signatures. But with step 8 we could also use an AOB to pull a pointer. Last edited by TheyCallMeTim13 on Wed May 02, 2018 6:28 am, edited 7 times in total.